It’s only on easy mode, but here’s a quick run at Gladio’s DLC; the video’s just over an hour start to finish. Life wouldn’t let me start this first DLC for FFXV right away on Tuesday, but hey! By waiting ’til tomorrow, I get more uninterrupted time with it for my first go at the content. Now then, while looking for the promo image I noticed a few headlines claiming that the DLC “isn’t as fun” as the main game. I’m not reading those specific pages to avoid spoilers, but my guess and hope is just that the difference in Gladio’s combat versus Noct’s is hard to get a handle on. In fact, no matter what the rest of the DLC is like, I fully expect my stream tomorrow to be laden with obscenities before, during, and after figuring out the new combat. So, yeah. Be prepared for that. Anyhow, I’ll have Morning(tm) things to do first, like waking up, going to the gym, and eating. 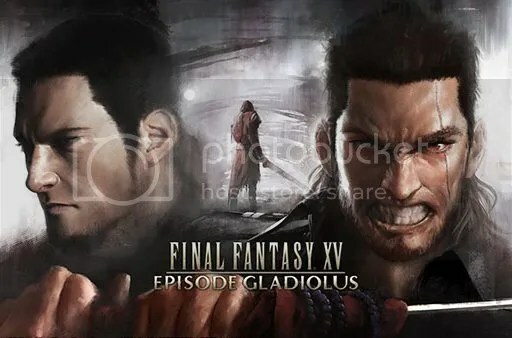 Then once all that’s done I’ll set up to start Gladio’s life changing field trip with Cor. I’m thinking maybe… noon Eastern time? I’ll put on Twitter in the morning maybe an hour, and then a fifteen minute, warning before I start. And since no one asked but I just thought of it anyway: no, shirtless Gladio will not be joining #PrinceSpaceman. Shirtless Gladio can wait until I get to my next NG+.